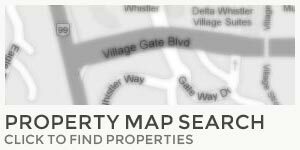 Providing inspection services in Whistler since 1993, John is a full-time professional property inspector providing both residential and commercial inspection services. Serving clients that range from local first time buyers to offshore investors. 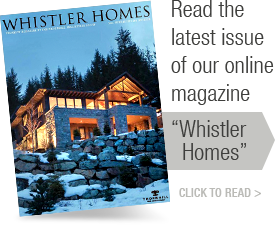 Jon has over 13 years experience working with resident and non-resident buyers in Whistler. Jon specializes in finding the right mortgage product for your needs at the best rate. He can also help you with all of your day to day banking needs from opening a Bank Account to setting up Online Banking to help manage the expenses associated with your new home. Best of all, Jon is available 7 days a week and can meet you anywhere that is most convenient for you. Carol provides Home Management Services helping to make your home sparkle whether you are selling or have just bought, giving you peace of mind when you are absent from your property or you just need a personal assistant. Your help has arrived! Race & Co. has been providing local and worldwide clientele with professional legal services since 1973. Race & Co. has extensive experience in all aspects of real estate transactions, including acting for purchasers and sellers of residential and commercial real estate, landlords and tenants, lenders, and developers. Whistler/Blackcomb has over 200 marked runs, 12 bowls, 3 glaciers, 30 feet average snowfall per year, Glacier skiing till August, greatest vertical rise in North America, longest ski season in Canada, largest ski area in North America. Lost Lake offers many secluded, picturesque well maintained trails for cross-country skiing from Nov-March. Lighted night skiing is also available around Lost Lake. Many of the Golf courses also have trails maintained for cross-country skiing. There are rental huts throughout whistler that offer cross-country equipment. Whistler offers both indoor and outdoor skating. The Meadow Park Sports Centre, 5 minutes north of the Village offers an Indoor skating rink while many of the lakes in Whistler can be skated upon should the weather permit. There are snowshoeing trails in and around the lost lake area with rentals also available at various locations in Whistler. An experienced guide will take you to beautiful untouched powder via helicopter. Recommend only for intermediate ski ability or better. There are miles of open terrain around the Whistler area to go snowmobiling. There are many companies in town that rent snowmobiles and offer lessons and guided tours. Aerial tours will take you high above Whistler, over the glaciers, peaks, ice caps, mountain lakes and waterfalls and are offered by many local sightseeing companies. These courses offer education on safety, awareness and terrain assessment and most courses are recognized by the Canadian Avalanche association. Forty-five minutes south of Whistler is an area called Brakendale. This area has the worlds highest population of Bald Eagles. The best viewing times are between November and February. Guided tours from Whistler to Brakendale are available. Whistler bungee offers a 160-foot drop over a new 300-foot pedestrian bridge. Outstanding vistas!! Enjoy Whistler’s magnificent surroundings while Alaskan Huskies pull you thought the Soo Valley Wildlife reserve. This is a fusion of skating and cross-country skiing and is great fun! The trails used are often the same trails used for cross-country skiing. Stay warm under blankets as horses pull you on a sleigh through the forest and by the lake. There are many different packages offered with this activity for example including dinner or a campfire etc. From 5-9 pm Thurs-Sat Blackcomb Mountain opens the magic chair for activities such as sledding, skiing, boarding etc.